When learn about how the physical body works, we learn that there are organs throughout the body and that there are blood vessels and nerve endings that carry life force and information all around the body, to and from these organs. We learn that these processes keep us alive and healthy. We learn that when these processes become stagnant or blocked, through age, injury or disease, we become ill or we die. These things are all true. And there is more. The energy in our bodies also moves through a system that in some ways resembles the organs and the pathways of the blood vessels and nerves. This system functions as a way to help keep our energy flowing efficiently, so that we stay well. We can also relate it to the electricity that flows through our homes. There is an energy system, pathways and switch points to direct the current properly. The meridians are the pathways in our bodies through which our energy (also called chi, prana, ki, life force or spirit) flows. Much like our blood vessels, when these pathways are clear and open, we feel good and we are well. But in the same way that we can have a heart attack or stroke when our blood vessels become blocked, when our meridians become blocked we feel fatigue, sickness, pain or mental unbalance. Negative emotions, stress and trauma cause blockage in our meridians and must be cleared in some way in order to prevent or relieve illness or imbalance. 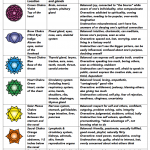 The chakras are major energy centers in the body. They are the body’s energy “organs”. They transmit and receive large amounts of energy and information to and from our environment. The chakras also send information within the body through the meridian system. They spin in a vortex or funnel shape, with the center of the funnel connecting at the spine. When the energy in the body becomes slowed or blocked, the chakras don’t spin as well. Imagine if you had an electrical wire in your home that was disconnected or if you had a fuse that was out. In the same way that your lights, computers and appliances would not work, your body can’t work properly when its energy flow is slowed or blocked. Reiki opens up the meridians (the wires), sending healthy energy flowing through the chakras (the fuses) again. There are many chakras in the body. Seven of them are considered to be major chakras by most energy healing systems. The Root chakra is at the base of the spine in the area of the perineum. It is related to survival and grounding. It is associated with the color red. The Sacral chakra is located in the lower part of the belly, about 2 inches below the navel. It is related to sexual relations, children and your sense of purpose. It is associated with the color orange. The Solar Plexus chakra is located midway between the sternum and the navel. It is related to self esteem and processing emotions. When you feel a “gut reaction”, it is the chakra you are experiencing. It is associated with the color yellow. The Heart chakra is located directly in the center of the chest, over the sternum. It is related to love, compassion, sharing and the ability to connect. The Throat chakra is located in the neck, from the upper chest to the mouth. It is related to creativity, communication and expressing oneself. It is associated with the color blue. The Third Eye chakra is located in the center of the forehead, between the eyes, above the nose. It is associated with intuition, imagination, insight, psychic abilities and the unconscious mind. It is related to the color indigo. The Crown Chakra is located at the top of the head. It is associated with a spiritual connection to the Divine, understanding your oneness with all things and bliss. It is related to the color purple. Other chakras are those in the hands and feet, which healers are often more aware of, since we feel them heat up and tingle when we do healing work. 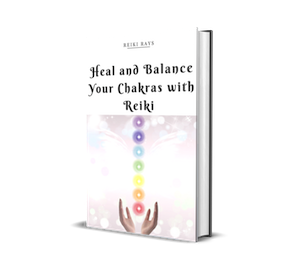 Healers may also feel heat, mild pressure and other sensations in their Crown and Heart chakras while doing healing work as the Reiki energy flows through these energy centers as it works. How the Meridians and Chakras Work Together? I’m glad you found it helpful. I am working on a series that will go into even more detail about the chakras and the aura. The first part, on the lower chakras, will be online on 11/11/14.